Amnesty International continues to call attention for the Tawergha case but due to the current situation in the country decided to halt the Tawergha Road Sign action. Amnesty will of course continue to raise awareness for the situation of the Tawergha in a broader context. Three years on from the uprising against Gadaffi, Libya still has no effective government to protect people’s rights and build new institutions. 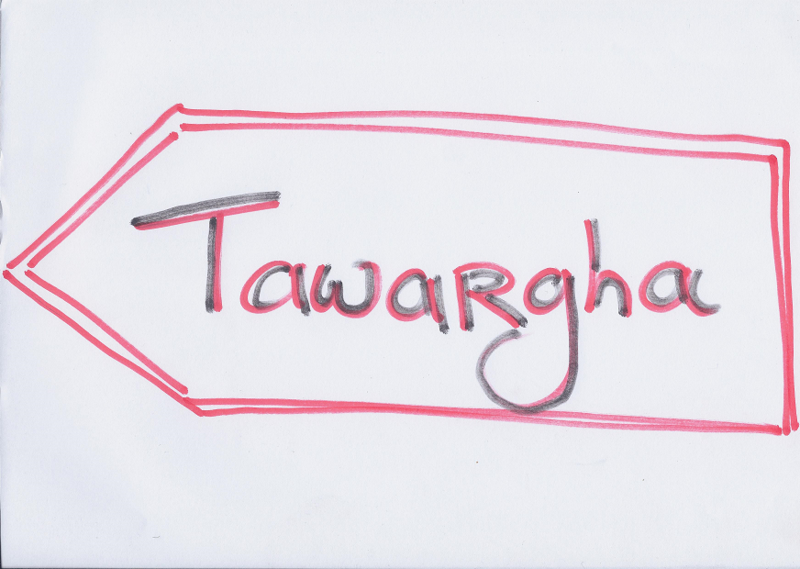 Human rights abuses – like the forced displacement of the nearly 40,000 people of Tawargha – go unresolved. Government ministers whom we usually write to or email in Amnesty campaigns, are either not in their posts, or have no power to do anything. Power in Libya for the moment resides with a number of different militias. One of the most powerful is the Misratah militia, based in the city that holds the key to the safe return home – or the re-housing and restitution – of the displaced people of Tawargha. We can still send messages to Misratah, through the city’s local council. Here is a simple action that could have real impact. 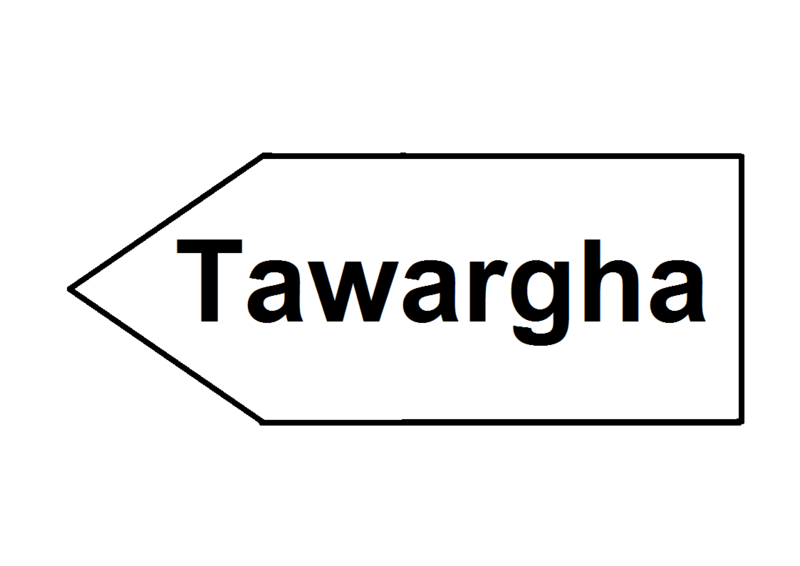 This is a photo of two road signs to Tawargha that have been made, one in Arabic and one in Roman letters, in the style of Libyan road signs. They symbolise the way back home for the people of Tawargha, which is still blocked by the people and militia of Misratah. When the Misratah militia attacked Tawargha and drove out its people, they defaced the road signs to the town, shown in the picture below. We plan to compile an album of pictures showing activists holding the new road signs to Tawargha. When it is ready, we will deliver it to the Misratah City Council and we will also seek media coverage in Libya for the album. You want to help Amnesty with their campaign for Tawergha but can't get the road sign printed out? No worries, print this instead or... get your crayons out, get creative & make a picture of you holding your piece of Amnesty artwork for Tawergha.